A few weeks back the Black Iron restaurant opened it's doors to the public and Mr C and I were invited along for the press night. 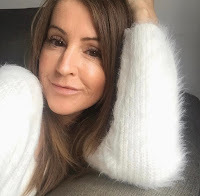 I was intrigued to say the least because it's situated in Winstanley House, formerly known as Braunstone Hall, a grade II listed building that has sat derelict for some 20 years. 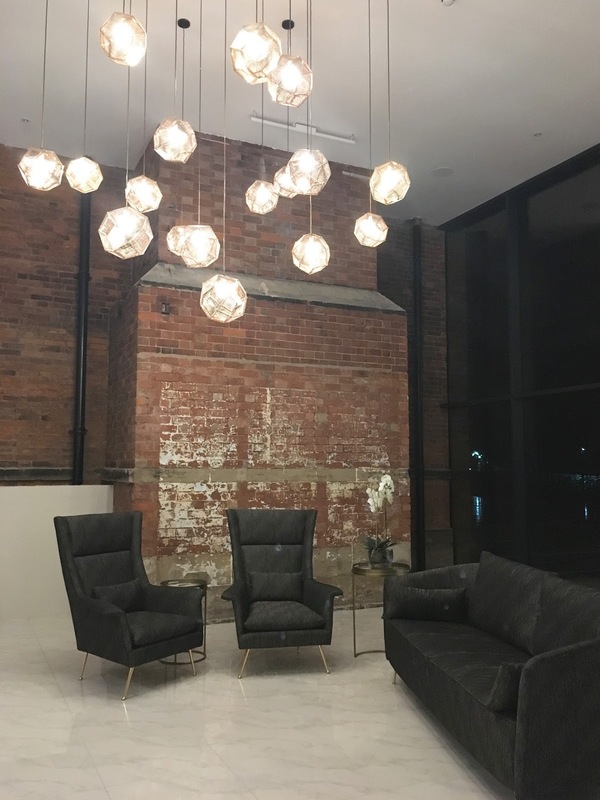 The grand building has been sympathetically restored to its former glory marrying the old building with a new ultra modern extension. We were given a tour of the hotel rooms and facilities and whilst there seemed to be quite a bit of finishing off to be done, you could see that all the rooms had that touch of luxury, especially the two opulent bridal suites. 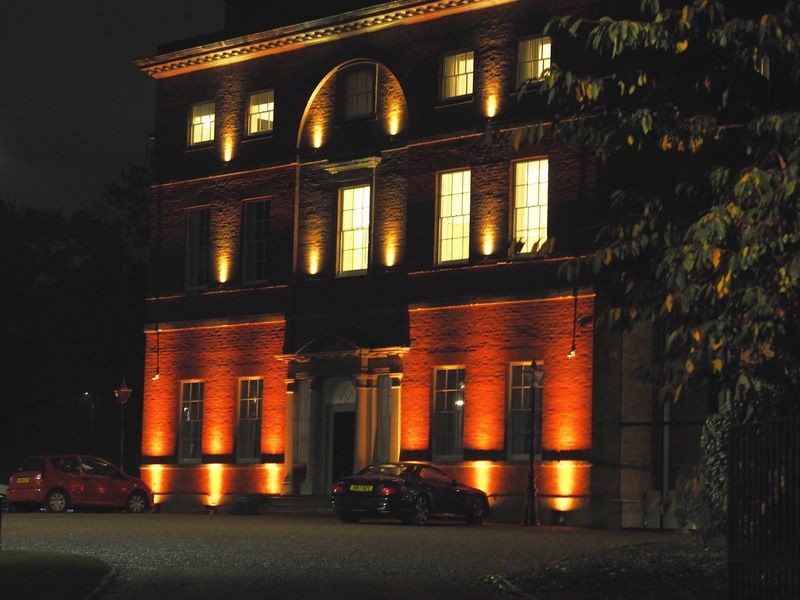 Winstanley House sits in Braunstone Park and the former stately home is perfect for weddings, parties, weekend breaks, or just to pop in for lunch or even just a coffee. The history of the house is fascinating and you should definitely take a look here. The Black Iron is a modern steakhouse and bar celebrating the very best of British and is a great addition to Winstanley House. Our table was situated in what I would call the overflow restaurant which is just another room down the corridor, we couldn't even see the 'proper' restaurant so you feel a little cut off from everything and everyone, it felt quite cold with not much of an atmosphere but we got settled and had a look at the menu which was put together for the evening with three options for each course. All the dishes served on the press night are on the main menu. For my starter, I chose the textures of beetroot salad which was nice but lacking something for me. The main menu says it comes with hazelnuts but I didn't find any in mine, definitely needed them for some texture and crunch. Nick opted for the glazed ginger pork cheeks. They were supposedly served on toasted sourdough bread (Nick's looked more like a piece of french bread and it certainly wasn't toasted) with pickled apple. Presented simply but beautifully. The pork cheeks had a deep rich flavour and melted in the mouth. Nick thoroughly enjoyed them. On to the mains. Or so we thought! I'd ordered the sea bream with new potatoes, fennel and lemon and as steak is their speciality I knew Nick would go for the 280g rib eye with dripping fries, bone marrow and salad. We watched as diners, who ordered quite a while after us, got their starters, then their mains, whilst we were still waiting for our second course. Waitresses flitted in and out of the room occasionally and were very much aware that we had not been served, we sat in the corner watching everybody else eat and really did feel like we were put in there and just forgotten! The disappointing thing was that not ONE of the waitresses, came to to offer an explanation or apology for the delay. It was only when we managed to get hold of one of the waitresses (not literally obviously) that she went to find out for us, that was coming up to 40 minutes after our starters. We were then paid a visit by the restaurant manager and she couldn't apologise enough. Apparently there had been a mix up with the tickets in the kitchen. She offered us another drink on the house, and said they were sorting our food straight away. It arrived coming up to nearly an hour after we'd had our starters! Delays aside, the food was delicious, so made up for it. Nick said his steak was the best he'd had in a long time, succulent and tender, cooked to perfection on the charcoal fired oven, which is the centrepiece in the Black Iron kitchen. The dripping fries were crisp, yet fluffy in the middle, I can verify that as a few may have made their way on to my plate! I didn't take a picture of Nick's dish as it's steak and chips and let's face it, it never looks the best on the plate does it? My fish was cooked well, with a crispy skin, just enough potatoes, although I could have easily had more fennel. 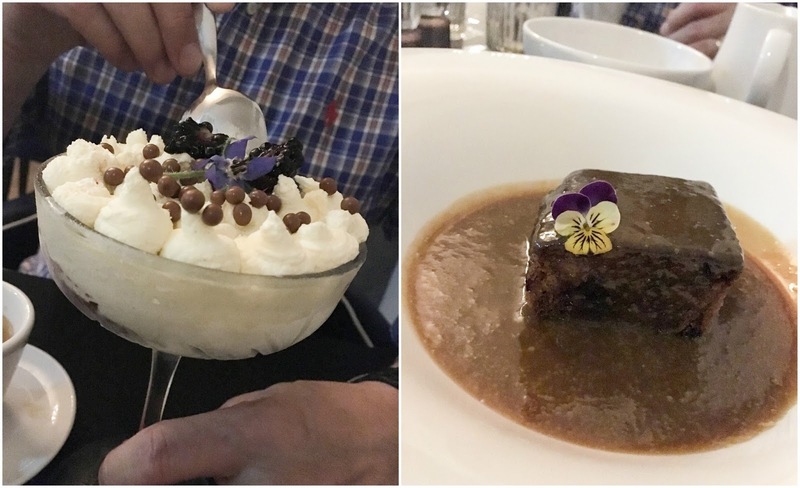 Now, I'd heard a few of the other diners saying that the sticky toffee pudding was to die for, quite frankly I'd have ordered that anyway, but their comments made me even more excited. I was not disappointed I can tell you! Oh. My. Goodness. The best sticky toffee pudding I've ever had. It came with lashings of toffee sauce and a side of creamy vanilla ice-cream. I knew Nick would plump for the trifle. Although it looked like a traditional trifle, it was a bit of an odd one, because it was more of a frozen trifle. I think it was ice-cream in it, that gave it that frozen element but Nick liked that it had a bit of texture anyway, so he was satisfied. Another little hick-up was the fact that we actually got our coffees before our desserts. Never mind. Maybe they were trying to make up for the previous delays, that, or trying to hurry us along as a lot of the other diners had already left! We actually spoke to the restaurant manager before we left to give her some feedback on the food and again she was so apologetic. We wanted to let her know that despite the hiccups and delays we thoroughly enjoyed the food. I think it was hard because it was the press night and all the staff were under pressure to deliver. Sadly, it was lacking somewhat but I'm sure a few lessons were learnt from that night. So, will we return to the Black Iron restaurant in this wonderfully grand setting? For sure. And I mean that genuinely. 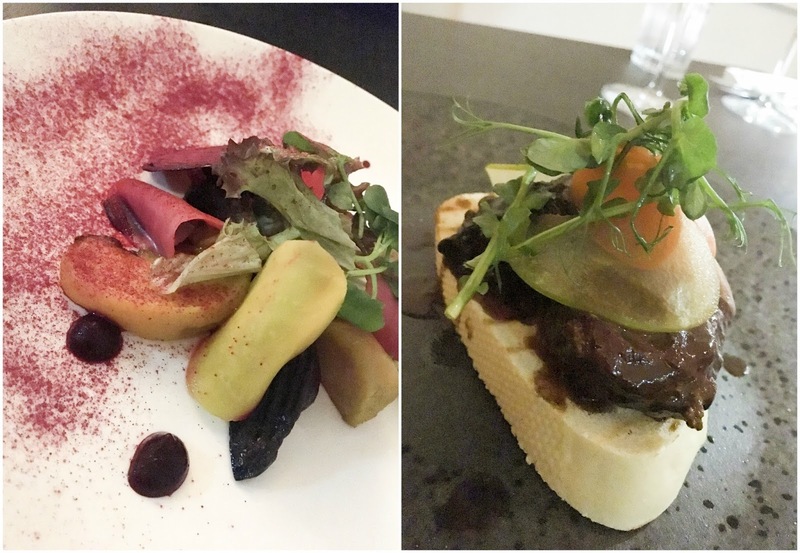 The food was great, and as you can see, the dishes have the look of fine dining, yet without the extortionate price tag. We've already mentioned to friends that we need to book. Oh, I nearly forgot to mention that the bar has an extensive wine list, with over 160 wines to discover. Malbec, French classics, and some award winning English wines too. Over 20 beers are available, and the most fabulous gin and cocktail list. You'll find all you need to know and can even book online here. 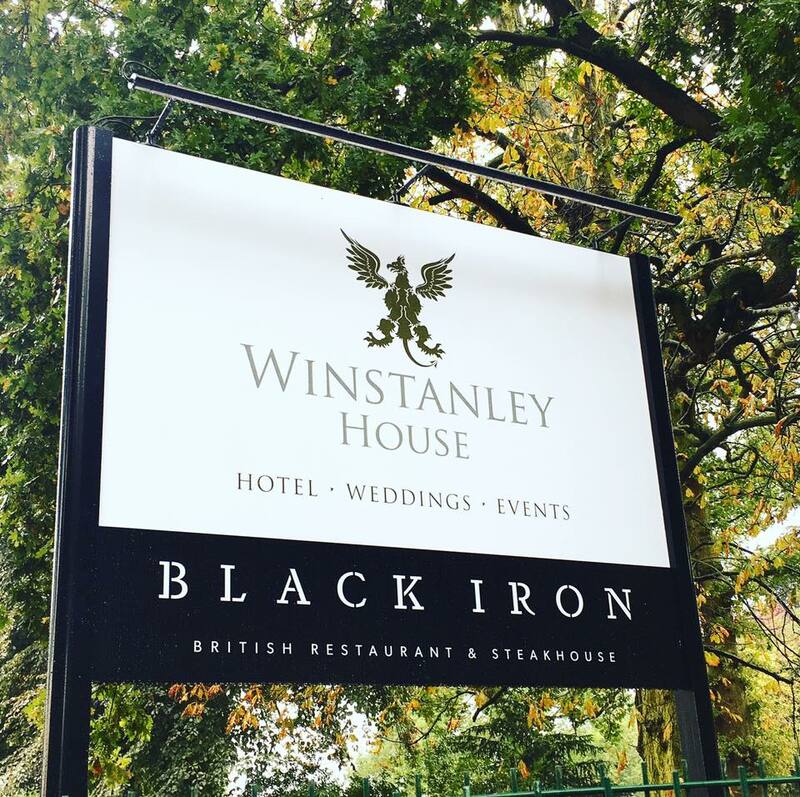 Thank you to the team at Winstanley House and the Black Iron for inviting us along for the purpose of this review. All views and opinions my own. Sounds lovely despite a few hiccups - maybe teething problems - I want to try that sticky toffee pudding sounds amazing!! !